As Venezuelan Crisis Deepens, U.S. Baseball Teams Close Academies : Parallels Venezuela is a key supplier of baseball talent to the U.S. major leagues. Players come up through baseball academies run by the teams. But now, many academies are being shut down. 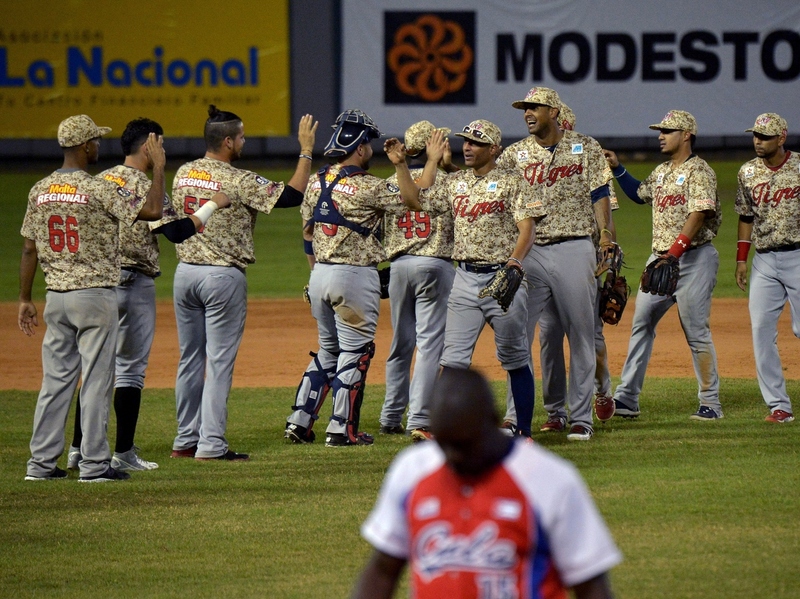 Venezuelan players celebrate after beating Cuba in the Dominican Republic on Feb. 4. More than 20 U.S. major league teams established baseball academies in Venezuela in the 1990s; currently, more than 60 Venezuelans are in the major leagues. But the turmoil in Venezuela has led most U.S. teams to close their academies. Among Major League Baseball players gathering for spring training this month are dozens of Venezuelans. They include two-time MVP Miguel Cabrera of the Detroit Tigers and All-Star Jose Altuve of the Houston Astros. Cabrera and Altuve were first discovered at U.S.-run baseball academies in Venezuela. But now MLB is shutting down most of its Venezuelan operations. "Everyone's dream is to travel to the U.S. and play for a major league team," says catcher Anderson Perez, a young prospect at the Chicago Cubs academy in the central Venezuelan town of Guacara. 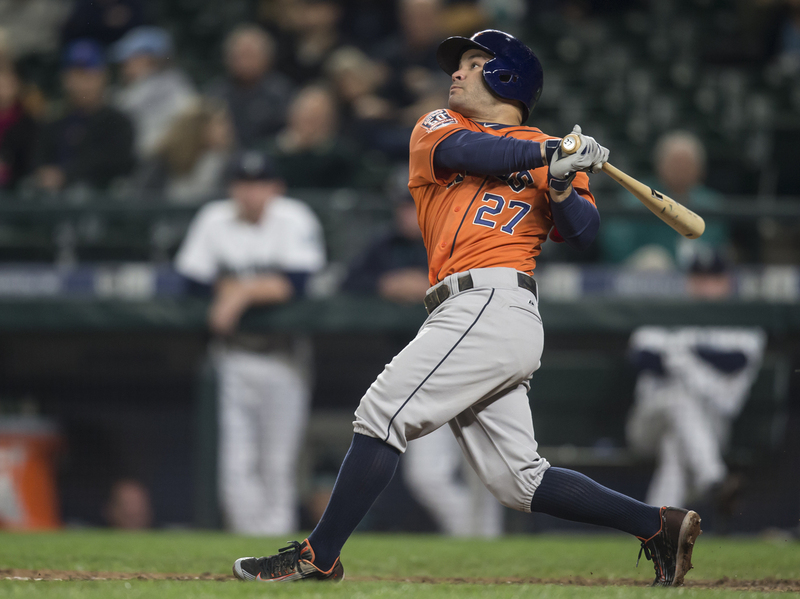 Jose Altuve, an All-Star second baseman with the Houston Astros, is one of many prominent major league players from Venezuela. Introduced by American oil workers in the 1920s, baseball is Venezuela's national sport. To groom local talent, 23 of the 30 MLB opened training academies here in the 1990s. "Teams feel the curiosity just to come here and see what we can offer," says Pedro Gonzalez, who manages the Cubs' Venezuelan squad. "Every time you see Cabrera and Altuve and those guys doing what they do in the big leagues, you can easily imagine why the scouts are continuing to come here." The players earn about $1,000 a month, a decent salary in a country with a badly devalued currency. They live in dormitories, train, lift weights and play in the Venezuelan Summer League. Off the field, they receive English lessons. The language comes in handy because many players move up to minor league teams in the United States. A select few reach the top. With 65 players on team rosters last year, Venezuela provided Major League Baseball with the second highest number of foreign-born players, after the Dominican Republic. But now this talent pipeline is being squeezed. As problems pile up for Venezuela's socialist government, Major League Baseball is drawing down. Skyrocketing crime has led most teams to close their academies and move the players to similar ones they run in the Dominican Republic, says Hector Ortega, the Cubs trainer in Guacara. "They get afraid to come to the country because the situation on the streets [is] dangerous," he says. "They read a lot of stuff in the news and they are afraid and they don't feel safe." Venezuela's chronic food shortages prompted the Seattle Mariners to shutter its Venezuelan academy last year. Ignacio Serrano, the baseball columnist for the Caracas newspaper El Nacional, says the Mariners couldn't find enough flour, eggs and chicken to prepare three meals a day for 40 hungry players. Political tension between Caracas and Washington means Venezuela now requires that Americans, including baseball team officials and scouts, apply for visas to visit the country. Today, only four teams — the Cubs, the Tampa Bay Rays, the Tigers and the Philadelphia Phillies — still run academies in Venezuela. That's bad news for up-and-coming players, says Herlis Rodríguez, an outfielder for the Phillies' Venezuelan squad. "To me, it's a big problem," he says. "The Venezuelan talent is in trouble right now. We got, like, less opportunity to get a contract in the United States." Still, Venezuela remains awash in baseball prodigies. And many players and coaches predict that once living conditions improve, major league teams will be back.